People ask me why I don’t write much anything about worldly events. If I did, it would probably be variations on the good news, bad news, who knows? genre. One reason for this is that I have noticed that whenever I weigh in with some sour judgment about anything, I find myself walking in the shoes of the opposite point of view in the next nano second. Instant karma! Just add judgment! Elizabeth also seems to experience this syndrome with great regularity. No sooner does she say she is not interested in traveling and thinks she is done with Europe than she finds herself on a plane to Spain. There is another reason for my growing conviction that I have no idea if anything is ever bad news. I spend much of my time either out in the garden up to my elbows in Flowers or talking to Flowers as I write about them. In either case, I do whatever I am doing while also sipping the vibration of Flowers from a mason jar of water and Flower Essences. This makes me a honeybee an advertisement for how poorly all these new eco detergents work a Flower Child. Okay, I really DID have a sensible reason for writing today. 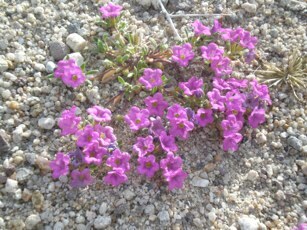 This morning I worked on the Desert Flower Essence section in the next Guide. We plan to reprint the Guide in early 2009. This gives me the next few months to rewrite the whole book, section by section. Part of our work is to create new logos for each collection. 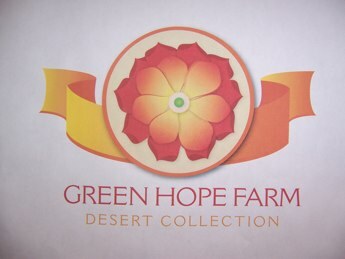 I give you a sneak peak of the logos for the Desert Flower Essences. This is a photograph of a computer print out of the art so it doesn’t do the logos justice at all, but it does give a hint of the exciting artistic adventure we are on with the help of our new graphics person, Jessica Miller. As I worked on the Desert Flower Essence section, it was hard to miss how helpful these Flower Essences are for these times. 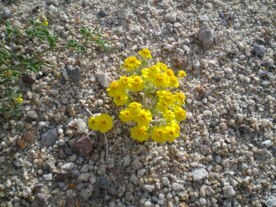 I thought I would share with you the photos of just a couple of these Desert Flower Essence gems and also mention their timely strengths once again. Desert Gold helps us know the abundant flow of the generous universe even in what appear to be times of scarcity or lack. Purplemat helps us know less can be more and experience contentment with what is. 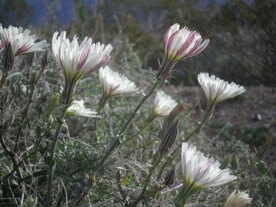 Desert Chicory helps us to trust the healing flow of our lives, collectively and individually. 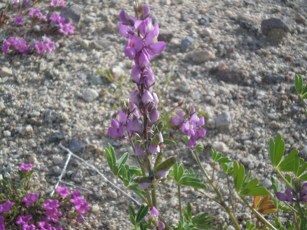 Arizona Lupine helps us make the most of available resources in circumstances of apparent lack and also tap more deeply into our own inner strengths. 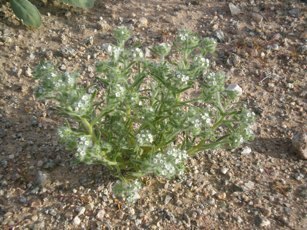 Desert Forget-Me-Not helps us remember our selves before difficulties left their mark, and helps us reclaim our joy and delight in the world and our sense of the world as a gift unfolding before us, not a punishment to be endured. And then there are the Woolly Woolly twins, Woolly Easter Bonnets and Woolly Margiold. These two are certain support for these Woolly Times. 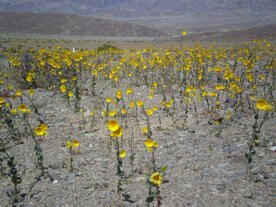 Woolly Easter Bonnets, shown here, helps us find the divine gift of cheerfulness when daily life is difficult while Woolly Marigold helps us not only acclimate but flourish and thrive with grace and generosity in seemingly barren or desolate circumstances. Really, is it any wonder I keep my nose buried in Flowers and hydrate with Flower Essences? Tough times call for more Flowers. That’s my story and I am sticking with it. The greenhouse plants that sit in these peat moss filled frames in the summer have all been moved into the greenhouse. 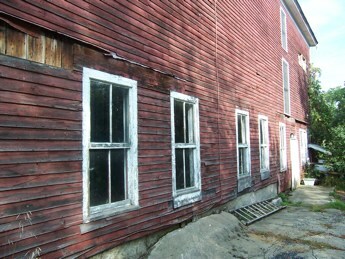 The front porch is piled with boxes of bulbs to be planted and the kitchen is filled with bushels of potatoes that need to be sorted and stored in the cellar. The Red Shiso is safely hung in the drying shed. 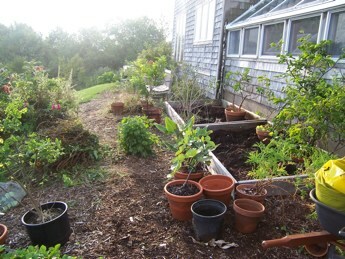 After the harvest, Lizzy and I weeded and limed the bed where the Red Shiso grew this season. Then yesterday, Jim covered this garden in hay. Jim wins the Green Hope Farm hero of the week award for this work. One reason this job made Jim the hands down winner is because he had to haul all the hay in a wheelbarrow. This is because we no longer have a truck. Our farm truck was part of the big recall and buy back by Toyota. Apparently the frames on 800,000 Toyota Tacomas were made from defective steel. We are missing our rusty truck a lot anyways. A truck holds a lot more hay than a wheelbarrow and plus, wheelbarrows are dangerous. 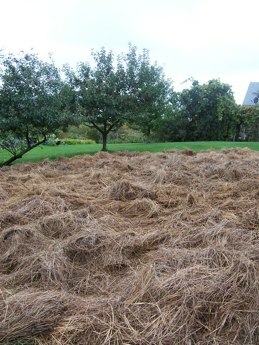 A second reason Jim deserves the award is because he hauled all this hay and spread it on the garden in the pouring rain. 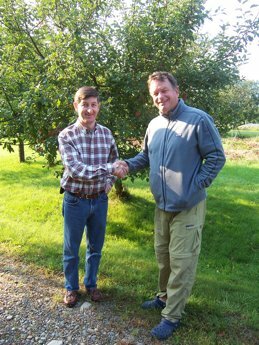 Jim’s interface with our cider press also made him the clear winner of this week’s award. 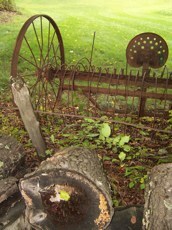 A bumper apple crop motivated us me to order a new grinder for our cider press. Up until now, we used a homemade grinder that required us to cut up the apples before grinding and then grind these quartered apples over and over and over again. We I finally decided to spring for a big heavy deluxe grinder, one I had had my eye on for more years than I can count. It looked to me like it would be easy to install. Ordered in early August, the new grinder arrived with only one of two needed support brackets. It was late August when the other bracket arrived and Jim got to work on the easy assembly that basically required him to rebuild the press. After a happy Saturday afternoon attaching the new grinder, Jim’s moment of installation victory was short lived. Within moments of the first turn of the grinder, the roller jammed and split. Now on a first name basis with the folks that made the grinder, Jim called and a new roller was shipped. Meanwhile, the apples on most of our trees had ripened and were beginning to drop from the trees. The heaving buckets of apple drops that we had collected were now moldering next to the press. Call it good times for yellow jackets. Late September and the new roller finally arrived. Conveniently, Jim had to dismantle the press he rebuilt in order to install the replacement roller. And the installation has not been a piece of cake, though I made Jim apple cake to take his mind of his installation woes. Yes, just a day or two from October and not a drop of cider has been pressed. Instead the grinder is in a multitude of pieces all over the kitchen table. 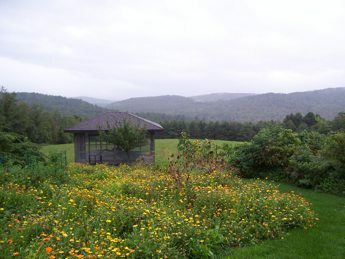 In fact, I think JIm went out to spread hay in the rain to take his mind off the problems with the grinder. It’s sort of the theme of these times, isn’t it? Things that sound easy to install but aren’t. Which leads us to the technology front where Jim further secured himself the hero of the week by installing new memory in our UPS computer. Not that any of us thought we needed more memory in this computer, but it was a requirement for a new software upgrade from UPS. Anyways, this memory installation required Jim to go to Staples twice between a session jamming what turned out to be a defective memory chip into the bottom of the computer. Who am I kidding? This guy is not the hero of the week. He is a hero of the ages. I would toast him with a nice hearty glass of cider………if I had any. Jake’s career path has been a bit different than Jim’s. Jake works for the state department as the consul general and chief of mission in Jerusalem. Jim teaches sixth grade. Here is how this all breaks down. Jake has drivers, bodyguards, maids, and a cook. Jim is the maid. He is married to the cook. Jake speaks Arab, Hebrew, Dutch, Greek, English and JakeJim speak. Jim speaks sixth grade, a very arcane dialect and one he can understand only because of his deep understanding of JakeJim speak. At the consulate, Jake has two gardeners. At the farm, Jim is married to the gardener. Jake knows pretty much everyone in government and has pictures of himself meeting these people. Jim has these pictures of Jake. Jake attends too many meetings. So does Jim. Jake takes part in many meetings between factions that disagree with each other. So does Jim. Jake had a meeting this morning at the UN. Jim had a meeting too. Jake has top secret clearance and reads top secret documents on a routine basis. Jim intercepts notes passed in class. Jake has flown in Marine One, the president’s helicopter with various presidents. Jim sees an occasional helicopter fly over the farm. After thirty years in the diplomatic service, Jake has one degree of separation between just about everyone on Earth. Because of Jake, Jim has two degrees of separation from everyone. I knew both Jake and Jim when they were in college. Their career trajectories are of little interest to me because I am more amazed that they have gray hair. After all, to me, they are still those twenty year old guys who spoke a strange language, invented a new holiday called Dada Day and did serious research to see if they could survive on a diet of pop tarts and kraft macaroni and cheese. 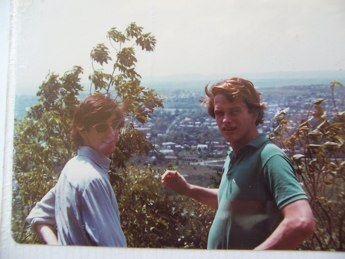 Jake and Jim, during their senior year in college, take a pause in their argument about what the big building in the valley below is. Another historic moment, the handshake signals the beginning of the JakeJim accord wherein Jake and Jim agree to disagree on what that building was in that valley, an argument that has been a constant in their relationship, thus giving Molly the first breather she has had from this inane argument in thirty years. A Camino friend of Elizabeth’s sent her pictures of his world. It was a quirky group of shots from his european hometown. When he asked for pictures of her world, Elizabeth sent a group that I found unexpectedly different, yet true of the farm. Her tomatoes were no sanitized red orbs to meet our freakish standards for perfect produce, but tomatoes as they often look this time of year. 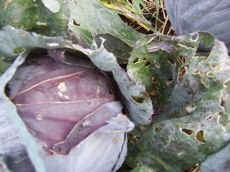 It was no coleslaw ready cabbage she photographed, but one before the battered outer layers were peeled away, reflecting the actual effort required to become a cabbage. 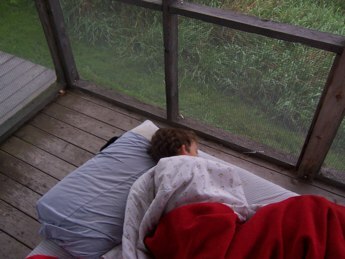 Her shot of the “peloton” was no roadmap photo of this screened porch building at the edge of our hayfield where all the kids sleep, but a picture of Will making the most of his Saturday morning in said building. Lacking in artifice and in my earnest fifth grade sensibility, Elizabeth’s pictures suggest there is no obligation to strive for something other than what is or to strive to explain everything fully. They have an acceptance of transience. the illusive, and the natural processes that break down everything except the loving eye that bears witness to this brokenness. I was deeply comforted by her wabi sabi view of our hilltop. Most growing seasons, I spend much of my time in the gardens working to bring the plants to their full and ripest point. I love this peak moment when I find it in a Flower, but these pictures reminded me of the beauty of things past their peak, broken, or imperfect. Flowers never try to hold onto this peak moment, because going to seed is as important to them as their peak moment of beauty. Unlike our culture, they make no effort to hold onto some impossible moment of eternal youth. And this surrender is not a loss. The gardens have a deep beauty and gravitas as they pass into fall and winter. Plant architecture may be broken, but in fall, the gardens have great heart and wisdom. One could argue they have more substance than on that perfect summer day. Which is all very reassuring to those of us in the fall of our lives or to someone who not only is in the fall of her life but finds herself with an arm that may not work as well again. I was more witness than participant in the gardens this summer. Even when I thought I could start fiddling in the gardens again, the Angels asked me not to pick up my clippers. I think they knew my enthusiasm to return to gardening tasks would outstrip my abilities and result in a lost digit or too. Benched as I was, I had to get over my desire to have the gardens the way I wanted them. I couldn’t orchestrate much of anything by myself. My children scattered like the wind when they saw me coming, because they knew contact with me in daylight hours would involve some plea to, “just tie up that rose,” a task that would invariably take longer than the word “just” suggests. I had to embrace mess and weeds and the presence of all the seed pods I would normally have deadheaded. I had to sit around and enjoy it just as it was. I was surprise by what happened. After twenty years of endless surprises brought to me by these gardens, you would think I would cease to be surprised, but not me. I never seem to grasp the obvious I still am surprised by nature’s generosity. I am still overwhelmed by the love. And the untended gardens were a symphony of love this summer. They didn’t just ride on the momentum of our twenty years of joint effort so much as sail off into exuberant, over the top self expression. 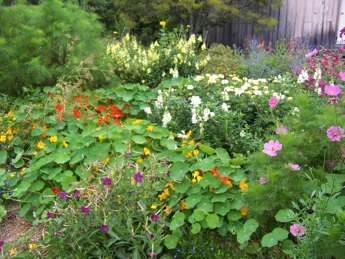 In the thinly planted main vegetable garden, masses of Calendulas filled in for missing vegetables. 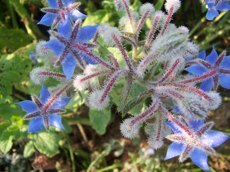 Borage sprawled across every square inch not covered in Calendulas, much to the delight of every bee at the farm. Who could complain about that yin and yang? It was gorgeous and nobody much missed that broccoli. In the Venus Garden Sophie and Emily expanded from the original design for the garden to squeeze in every annual we had started that was now in need of a home. This resulted in so much unplanned playfulness and joy. And the surprise about my own reaction? I loved sitting around enjoying all the garden surprises. 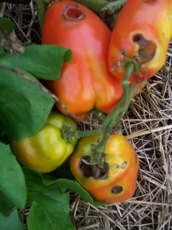 In previous growing seasons, I too often fixated on “garden problems”, racing from one to another to clean things up. This year, I had to go wabi sabi on myself. In my brokenness, the path of least resistance was to look for the beauty in things just as they were. This proved so much easier than expected. The untended beauty of gorgeous volunteer Flowers as well as weeds reminded me, just as my broken arm reminded me, that sometimes the light shines best through a crack in the vessel. No matter how much our minds might tell us the glass is half full, when we are forced to stop and really look at it, the glass is always overflowing. Nature always overflows our cup. Life always overflows our cup. It was high noon Monday. The gig was up inventory was low. I had fantasized predicted that Emily’s late summer bottling marathon was going to last forever until her October break. But it didn’t take a psychic person who could count to five to see that since Emily departed back to her life at college, a large number of our Flower Essences had vanished into thin air done what our Flower Essences do. They had been sent off into the wider world into your hands. So this morning, I dove back into the job that, up until I broke my arm. had been mine. I began to bottle again. I think I can safely say that I will no longer need to do the arm rehab exercise that required me to do 10 reps X 4 times a day with a two pound arm weight. An average day of bottling requires me to lift a two pound box of bottles up and down to the bottling gizmo twenty times to fill twenty bottles. Then this is repeated with fifty more boxes. That makes for 1000 reps with a two pound arm weight. I think that is enough. And my rehab putty activities to help me improve finger strength and dexterity? Also now unnecessary. Will is going to be a very happy camper tonight when he inherits my putty collection. I may not be able to use my left hand with any skill, speed, or dexterity yet, but bottling is going to give me a lot of practice. And that makes me optimistic about my long term recovery of most of my arm and hand skills. I may never want to move as fast as I used to (having found genuine joy in moving slower this summer), but someday I probably will have a choice about that again. But let’s go back to the stuff of legends where we left me at the bottling sink……….. Because I had fiddled while Rome burned done other things instead of bottling these past few weeks, pretty much everything required extra steps. There were no 2 ounce red shisos bottled. There were also no 2 ounce bottles washed. There were also no 2 ounce bottles racked in boxes ready to be washed. There were also no 2 ounce bottles out to be racked….. You get the picture. By necessity, I was moving further and further away from what I had originally thought of as the task at hand….. and everything I was doing to get myself back to square one I was doing at the speed of a terrapin. Because that’s my new speed! And generally, I am loving my new speed. But not so much this morning. There were just toooooooo many hovering faces. Basically we were out of everything. While I let my fingers do the walking began to fill in the inventory gaps, the shippers read me excerpts from the mail. This always lifts me up. What lovely, lovely letters you write! It always makes me feel so grateful that I get to be here. Yes, even today, when I was more turtle than hare. Your letters took me from half glass full to cup overflowing in a nano second. And that is a pretty remarkable thing for a terrapin like me. PS We are having problems with the archives on the blog. My apologies! While Ben tries to figure out how to fix this, please know that all the past blogs are there and can be accessed if you just keep scrolling down through the current blogs. I am particularly loathe to have you lose easy access to the Camino blogs, so we are trying hard to fix this problem. Like so many computer events, this seemed to happen out of the blue and yes, fixing this problem has been another more turtle than hare moment for us……… While we all wait for the fix, can I read you an excerpt from your dear letter to us?